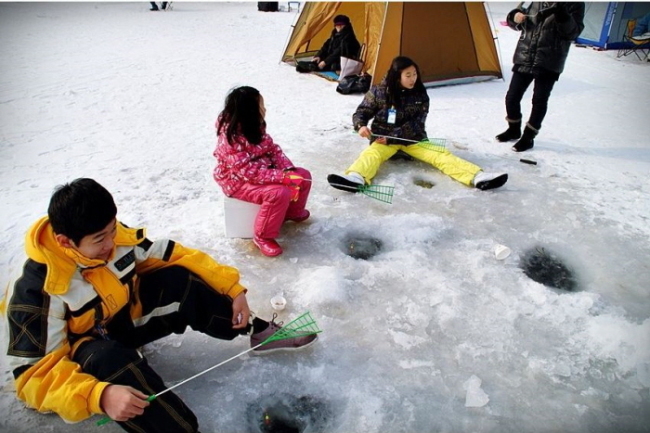 Visitors are welcome to participate in various winter activities such as ice fishing, sledding, traditional winter games and barehanded fishing. Gwanghyewon Reservoir, the venue of the Anseong Ice Fishing Festival, is one of the largest reservoirs of Anseong known for its first-class water quality that runs down from Charyeon Mountain Range. 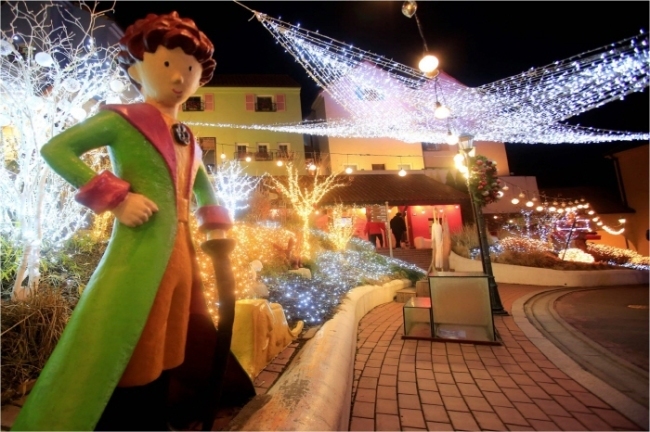 The festival lasts until Feb. 25, and admission is 5,000 won per person. Children under 5 are admitted free. Call the travel hotline at 1330 for information in Korean, English, Japanese or Chinese. The homepage (dmfestival.co.kr) provides information in Korean only. The event is open from until Feb. 28. 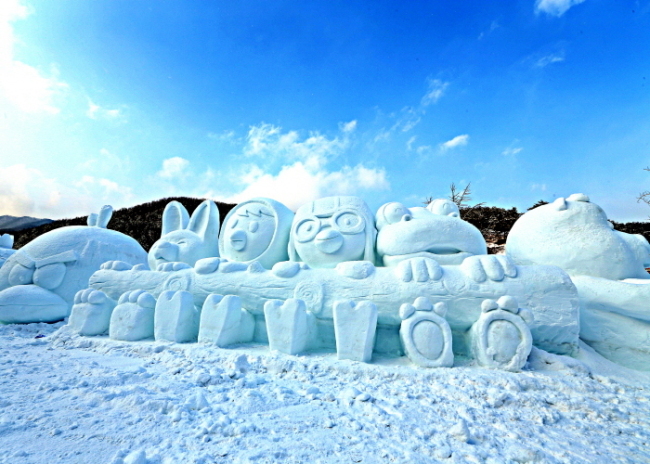 Everland Snow Festival is held throughout the winter season, offering a variety of winter activities and games. This includes snow buster tube slides, a snow safari, butterfly exhibition, Rudolph reindeer village & Santa house and starlight zoo. The event lasts until March 3, and is open to visitors of all ages. Refer to the official website www.everland.com for admissions, participation fees and other information in Korean, English, Japanese and Chinese. Chilgapsan Ice Fountain Festival in South Chungcheong Province features a large-scale ice fountain creating an Alps Castle where fairy-tale characters live. The event is held until Feb. 18. 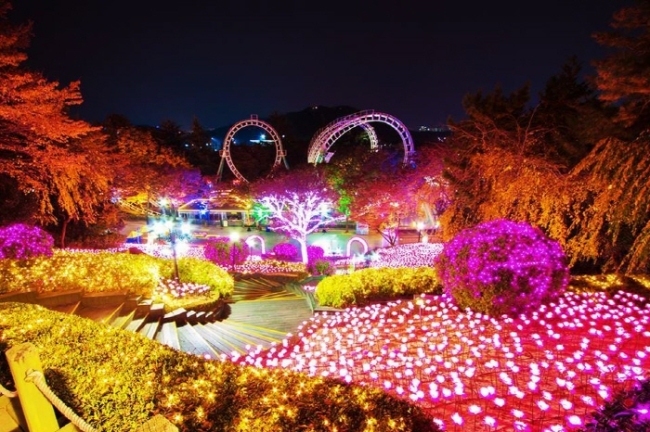 The events start at night and large trees are decorated along the 200-meter Light Road, as well as the Umbrella Road, Carnival Road and a photo zone created by 1,000 lights. The festival continues until Feb. 28.